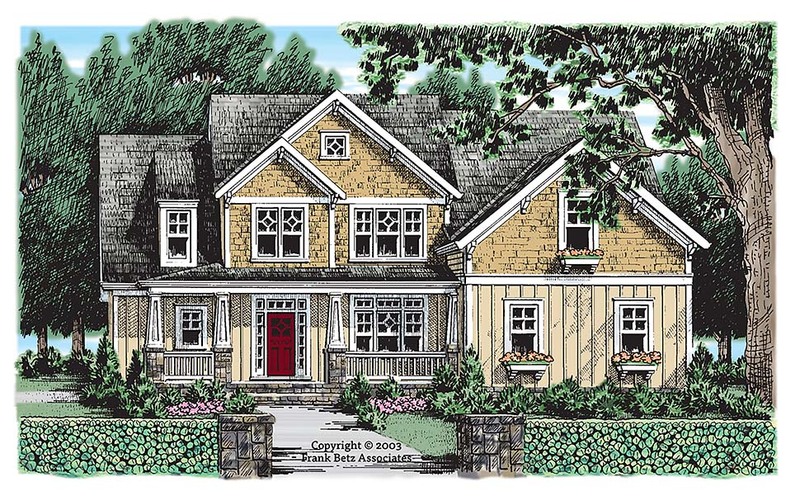 The facade of this home plan is eye-catching and original with its unique windows, battered columns, and varied exterior materials. 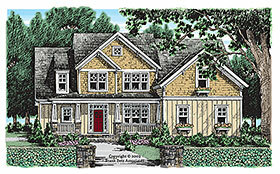 Its craftsman accents create a casual and welcoming feel from the street. Its main floor houses the master suite, as well as an additional bedroom that makes an ideal guest bedroom with a bath in close proximity. A vaulted breakfast area connects to the kitchen, complete with double ovens and a serving bar. Additional niceties include an arched opening leading to the family room from the foyer and a linen closet in the master suite.